Create a delectable, savory dish with this Ciao sliced pepperoni. It features an appealing brick-red coloring with a classic, meaty taste and a balance of sweet and savory tones. It is seasoned with a premium blend of spices that accentuates the meat and creates a true pepperoni flavor. 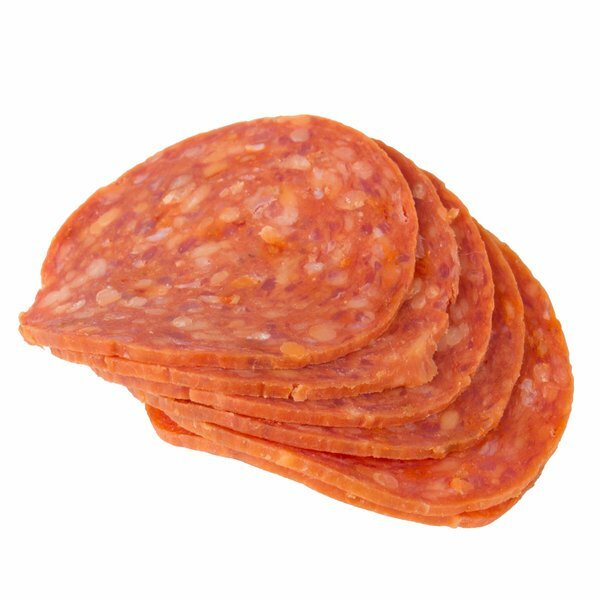 Plus, coming already sliced, this pepperoni is great to add as a topping on your signature pizzas or for adding texture to your Italian style salads. Made from select cuts of pork and beef, this sliced pepperoni delivers a fresh flavor. It resists cupping, charring, and grease-out making it great to use in a variety of cooking applications. 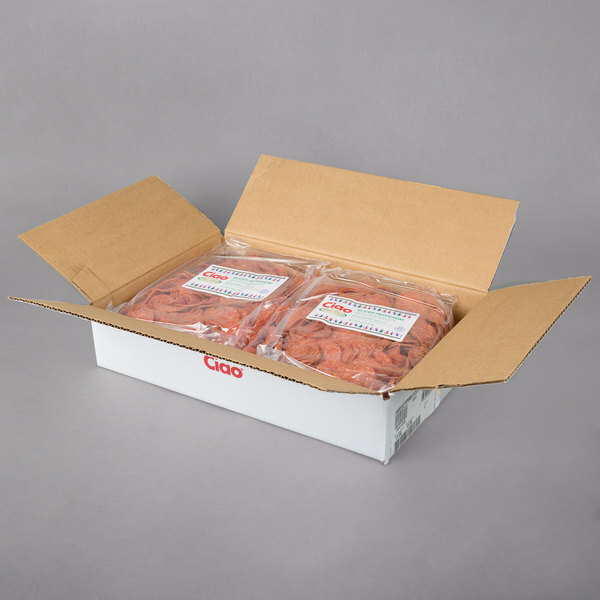 For best results, keep this pepperoni refrigerated in order to maintain its quality. Customers are sure to love the flavor profile this sliced pepperoni creates when added to their meal! The Citterio brand is known around the world as being synonymous with professionalism, passion, innovation, and excellence. The family-owned company was founded in 1878 and continues to focus on producing quality products with classic, time-honored flavors to this day. Bringing the flavors and scents of tradition straight to your table, Citterio is a name you can trust for outstanding meats and cheeses.